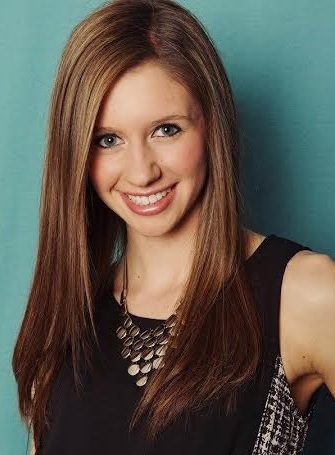 Brittany is a fitness professional teaching at SLT, Circuit of Change, Barre3 and Pure Yoga in NYC. She moved to New York as a dancer and having a degree in Fitness and certifications in yoga and Pilates, but never new her "side job" of teaching would turn into the most rewarding lifestyle. She never looks at teaching as a job. Motivating and inspiring others to do things they never thought they could do is what brings such joy to her life. Whether on the megaformer, on the mat, at the barre, while doing burpees or lifting heavy weights, Brittany always finds way to speak to the inner strength in a person and building the physical strength just comes along with it by overcoming challenges and creating achievements. I don't think I am "the best" at anything because that means there is no room for growth. I am really good at teaching and getting better and better each class and day. My drive. My passion. My love. I eat, breath and sleep fitness. I have always had the mind set to set goals and not give up until I achieve them. If upon moving to NYC, one of the biggest fitness industries and hardest to get into, I would have listened to everyone who told me I was to young to do that and be successful I would not be where I am today. Coming from the Midwest fresh and eager to have a goal to become a full time fitness instructor of 30 classes a week is how I got where I am. I didn't give up and put in the work needed! My aspirations are to eventually blend all that I love about fitness and maybe open my own studio down the line. I love that I work at so many places that very different from each other and I think fitness is something constantly growing and evolving, so taking a little bit of all my loves and putting them into one single class would be interesting and a challenge I'm ready to take on. I also want to just be young and travel and learn continue to grow and just let life throw at me new adventures. The most challenging moment in my life was when my mom struggled from cancer not just once, but twice. In 2009 she had breast cancer and being the oldest daughter, only one who was able to drive and having a dad who needed to pick up extra work for income purposes I had to Mature and grow up pretty quickly and pick up extra responsibility like taking care of my sisters and being my moms at home Doctor almost. I was the only one who was able to hold my moms hair back when she was throwing up for hours after chemo, because everyone else couldn't handle it. The harder challenge for me was when she had Colon cancer in 2011 and I was away at college and not able to be there to be the support she needed. NYC is honestly one of my favorite places and that's why I moved here. You can never get bored here and there is always something new to do or see keeps up with my lifestyle and personality of busy! But I do like a good spa and beach to get away and relax too. Traveling is one of my goals so I am sure I will build a list many favorite places. I love Carbon38 attire and Indie Fresh Products. Fitness. Running. Dancing. Moving. Learning. Growing. Teaching. Inspiring.